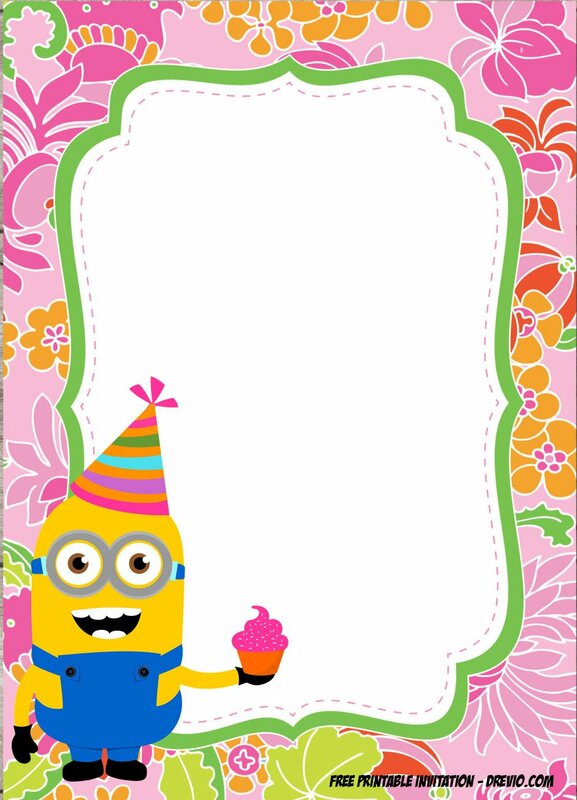 FREE Minions Luau Birthday Invitation Template – Special for Summer Birthday Party! Well, celebrate your birthday party with Minion, this summer! Minions always make your party happier and fancier! Excite your kids and invitees with Minion birthday party! Well, as usual, Drevio always come to save your budget! 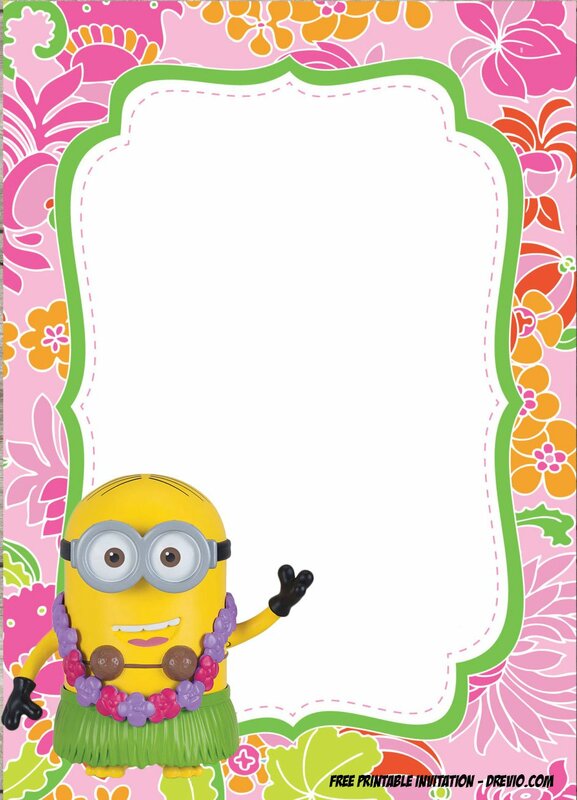 Celebrate and spread the words with our free printable Minions Luau birthday invitation template, click, download and spread! These invitations comes in 5×7″ with cool Luau design where you can simply download and write down your party details on it. Click on the image, then save image as. Print, and write down your birthday party details like time, date and location of your birthday party. This summer birthday invitations is really easy to customize if you’re able to operate photoshop, or simply go to our online image editor at Drevio Canvas. 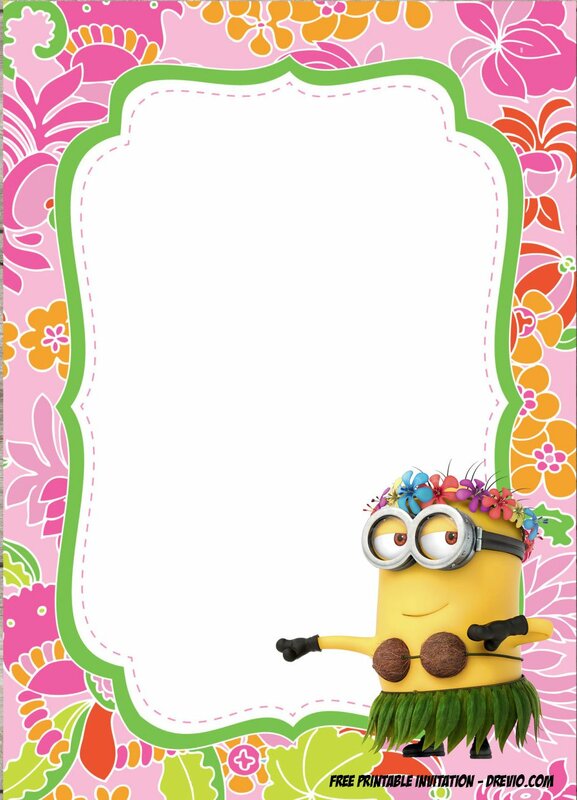 Enjoy our FREE Printable Minion Luau invitation template below. Hope you love it! Don’t forget to spread the words! It’s very easy to customize the Minion invitation, you can spread it on Facebook events to save the cost! and Spread the words! Well, sending out your invitation still being a great way to show your party. I love this way much more! You can download, fill the details and go to your nearest printshop! 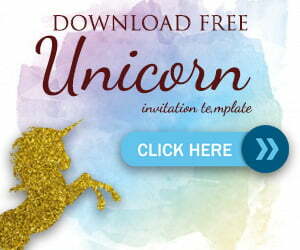 Print the invitation with cardstock paper where you can get it from Amazon or Party City. Spread the words and don’t forget to include the RSVP number! So you can estimate your visitor!